Integration with Panels through a Ctools plugin and for Node Displays. what a mobile user can / cannot do on your site, or what content he can see or not. Drupad.module is the companion module for the iPhone™ / iPod touch™ application, Drupad. 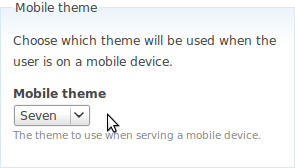 Adds the ability to choose a mobile theme in admin/build/themes/settings which is used for serving users on mobile devices. The WURFL module helps you in detecting the device capabilities of the mobile device visiting your website. It is based on WURFL and the WURFL PHP library.. The module provides device capability detection as an api to developers. The Mobile Codes module provides the ability to render Text, URLs or any other form of informaton as a Mobile Code, including but not limited to the QR codes and Datamatrix formats, providing a simple way of transfering said information from the screen to a Mobile phone. Mobile Codes was written and is maintained by Stuart Clark (deciphered). 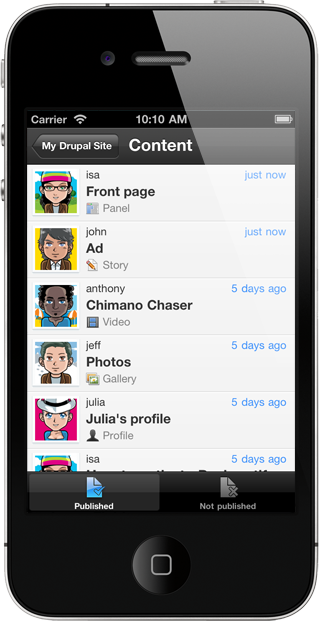 iDrupal is a project aimed at making it easier to manage a Drupal web site from your iPhone or iPod Touch. idrupal.module located here. This module acts as a bridge to talk to the iPhone client. A theme designed to work with iDrupal that is listed below. The iDrupal iPhone client that will be available in the AppStore soon! 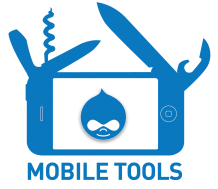 This module is intended to be used with the .mobi theme. 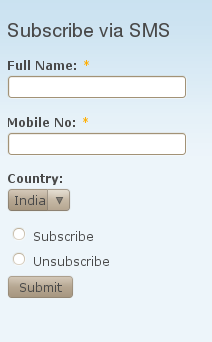 It looks for visitors requesting a .mobi alias of the site and overrides the default theme to display the .mobi theme. Simple Mobile Redirect module is a quick and easy way to make a redirect from a main site to a separate mobile URL/site. 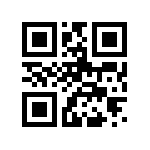 This Drupal module provides integration with the dot2code QR code management service. This will enable mobile users to just point at a QR code with their phones, and the dot2code (D2C) service will (optionally) authenticate them, capture some users data when required by you (i.e. age, location, etc. ), and redirect them to certain contents in your Drupal site.